"We Can Provide You With A Night To Remember!" We like to think that we offer a slightly different approach to the myriad of mobile discos that are available, and as a small operation we can provide the attention to detail that every event deserves. Affordable and approachable, we aim to provide a tailor made service so you can get on with the serious business of enjoying the party. 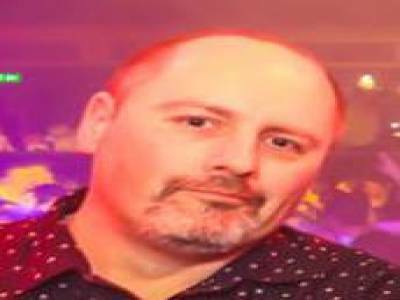 Ruby Tunes' resident DJ Ian Sawyer has over twenty years experience playing at nightclubs and venues in the area. Ruby Tunes carries a large variety of music covering a whole range of genres and we can send you a spreadsheet containing over 12,000 songs which you can use to inspire any requests you wish to make. If there are any songs or pieces of music we don't currently carry we can usually source them in time for your event. We are continually upgrading our mobile setup and currently have more than enough sound and lighting equipment to cater for all small and medium sized venues, with an option to hire in larger sound reinforcement if considered necessary. We believe that communication before the event is paramount so that neither the customer or ourselves have any nasty surprises on the day! We aim to provide a tailor made service so you can get on with the serious business of enjoying the party!! Required by many venues, Ruby Tunes Mobile Disco has a current PLI policy with National Association of Disc Jockeys in the amount of £10 million. Also required by many venues, Ruby Tunes Mobile Disco has supplied satisfactory evidence of holding current PAT inspections of their equipment dated within the last 12 months. A Method Statement, outlining Ruby Tunes Mobile Disco&apos;s Health & Safety procedure for setting up disco equipment has not been supplied. Why do people choose to book Ruby Tunes Mobile Disco? He’s rated highly and just what we are looking for. Seen videos on Facebook and looked good. Quick response with best price. "Ian was amazing - the dance floor was truly jumping. He handled all the requests brilliantly (and believe me there were a lot!). I would highly recommend Ian." "Thank you so much for having me DJ for your event, it was a real pleasure! Thank you also for your lovely review, really appreciated!" "Very happy, everything was perfect. All the songs we chose were played and the lights were fantastic. Highly recommended. " "Thank you so much for having me and for your lovely review! It was a pleasure to be part of your special day!" "Ian was great. He always got back to us quickly, he listened to our requests and the music on the night was just what we wanted and had our friends dancing until the end." "Thank you so much for your review and for having me DJ your Wedding Reception! It was an absolute pleasure and I'm so glad you and your guests enjoyed yourselves!" "Ian was top man from first email to the disco it’s self couldn’t ask for a better DJ "
"It was lovely to DJ for you and thank you so much for having me! Great people and great venue, it was a total pleasure - thanks!" "Great had by all comunication up to event was also excellent"
"Thank you it was a pleasure, so glad you all enjoyed yourselves!" "Ian was on time, helpful and very reasonably priced. On the night he helped with our charity requests with no fuss. Will definitely recommend and use again. Top night with a top DJ"
"Thank you so much for having me and I'm delighted that the night was a success! I had a great time playing some 80's classics and it was a pleasure to play for such an enthusiastic crowd, thanks again!" "I could not recommend Ian and Ruby Tunes highly enough. Thoroughly professional throughout and he had the place jumping with tune after T U N E, which was exactly what we were after. He was incredibly communicative and flexible, especially with working around our band who were running a little late. Personally and this is a huge plus, he played all the tunes we wanted to hear, I could have partied all night long in the knowing he had the tunes to keep us going. " "Thank you so much for having me DJ for your wedding, I'm so pleased that you and your guests had a good time and it was a pleasure to DJ for you all. A lovely crowd who were really responsive and I'm very happy to have been a part of your special day! Thanks again and congratuations!" "Thank you so much for having me and congratulations!" "I would highly recommend this DJ he was such a nice guy and couldn't have done enough for us thank you! " "Thank you for having me and for your lovely review, I'm so glad you had a good time!" 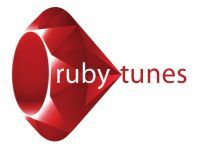 "Ruby Tunes did a fantastic job for us at our wedding. Ian set up his kit with no problems, played the songs we requested and also played songs that our guests wanted to. His song list was extensive! Ian was warm and approachable, and we wouldn't hesitate to recommend him to others. Thanks for playing at our wedding! " "Thank you so much for having me and for your fantastic review! I'm so glad you enjoyed it and it was an absolute pleasure to DJ for you!" "We had a great night. Thoroughly recommend Ian"
"Thank you so much for having me and I'm delighted that you and your guests enjoyed themselves! It was a great night and a great crowd to DJ for!" "I reviewed a few dj's for my partners surprise 50th because i wanted it to be perfect.. I can not fault ian in anyway..Every thing we asked for he gave and more.. He helped me to make it special.. so thank you...I would and will recommend ian. " "I think for the younger children it would have been good to get them participating in some dancing games, like musical statues or something to keep them a bit more focused and entertained. Otherwise it was as we expected and good value for money." "Thank you for your review and for having me come and DJ for you! I agree about the games, it's not my normal thing to do games as I'm not a Children's Entertainer but I am always up for doing them as long as other adults are happy to judge, apologies for not taking the lead on that as I was concentrating on the music. Thank you for having me and if I can ever be of service in the future please get in touch!" "Thank you to Ian (Ruby Tunes) for a fab night! The birthday boy absolutely loved the song choices (and is still talking about it), the lighting was just right and the set up looked really smart. We preferred Punk/rock/indie and the music was spot on! We were in a smaller venue and Ian accommodated us perfectly. I found him really good value for money and a friendly chap. Would definitely recommend him to all and I shall keep him in mind for any future events." "Thank you so much for having me and I'm delighted that you all enjoyed the disco, it was great fun playing some stuff I haven't played for a while too! Thank you for your lovely review!" "Ian DJ'd at a joint party for my teenage son and his friend. He played a mixture of requested songs and got the remaining songs spot on by just reading the crowd to create a great atmosphere. We would definitely use Ian again." "Thank you so much for having me DJ for your joint birthday party, it was an absolute pleasure! Thank you for your lovely review!" "Ian was very attentive with providing us with the.playlist that we wanted for my daughters 11th birthday party. He provided a very professional service." "Thank you so much for having me, I'm really glad your daughter and her friend had a good time!" Please note that needadisco.com has no editorial control over these images which are stored on flickr.com. If you have any concerns about what you see below, for example potential copyright infringement or unsuitable content, you should take this up with Ruby Tunes Mobile Disco directly using the Contact section below, or else you may alert flickr.com directly quoting "set number 72157671483081224". If you are contacting Ruby Tunes Mobile Disco about an event, it's always a good idea to include the DATE, LOCATION, EVENT TYPE, AGE GROUP and TIMINGS to speed things up!